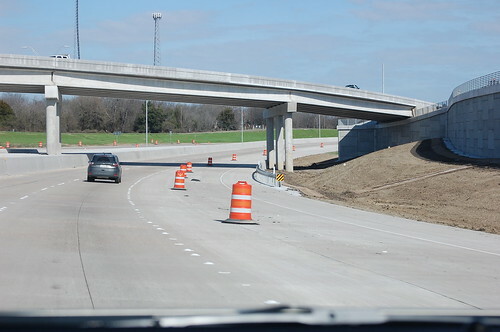 TXDOT is in the process of rebuilding the BL I-45 exits along I-45 at Corsicana. NB 45 to BL 45 is currently closed. It looks like the exit is being converted to a right hand exit instead of a left hand exit. SB 45 to BL 45 appears to have recently been completed. Anyone have access to more detailed info? Northbound 45 at the north BL45 interchange. Taken March 2018.